Manufactured in 1'' wide polypropylene web with strong metal nose fittings and padded base. 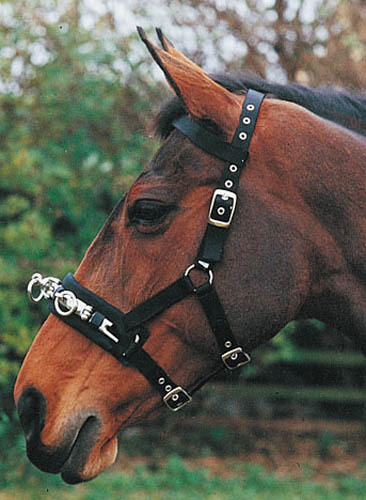 3 buckle, fully adjustable on head, nose and throat. Featuring a brow band attatchment. There are currently no questions for Hy Lunge Cavesson - be the first to ask one!